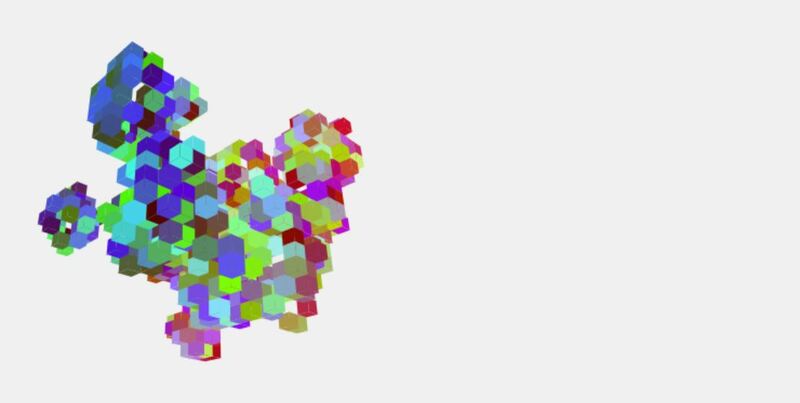 Conway's Game of Life—the OG cellular automaton toy—is put in three dimensions by Samuel Levy. You can spin the playfield as it mutates, too! It beat the hell out of my computer on the higher settings, though. Cells (in this case, cubes) with only 1 or less neighbours die, as if by lonliness. If 5 cells surround an empty cell, they breed and fill it. If a cell has 8 or more neighbours, it dies from overcrowding.